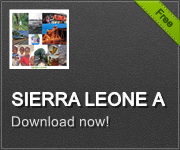 The Sierra Leone App which was launched in April of 2014 is a multidimensional app with a variety of resources for users to access any and everything Sierra Leone and beyond and it can be downloaded from either the Google Play or Amazon App Store or at www.saloneapp.com for users of Android and Blackberry phones and for those who use phones or tablets with an iOS Platform (Apple products). The App will be available in a few weeks. The ACC Link to report corrupt activities to the Anti Corruption Commission is already up within the App for those who already have it on their phones. If a Citizen or Non-Citizen sees any corrupt activity that they want to report; all they have to do is tap on the Anti-Corruption Commission’s link within the App with their fingers which in turn will generate a message box where they will then proceed to type in their report. And if they so wish they can attach one or more pictures as photo evidence to reinforce their report s. After completing a report along with attached pictures the sender should then submit their report by just clicking on the Submit button. The reporting link and the attachment of photos can be done in real time or you can save sending the report at a later time. The photos can be sent in real time as an act is being committed or at a later time from your phones photo gallery along with a well thought out and written report of what you saw.